When you start building your website, we ask you what it's about so we can generate designs tailored to your needs. There are plenty of business categories, but your options don't stop there. Planning a wedding or creating a résumé? We've got you covered, including compatible images. 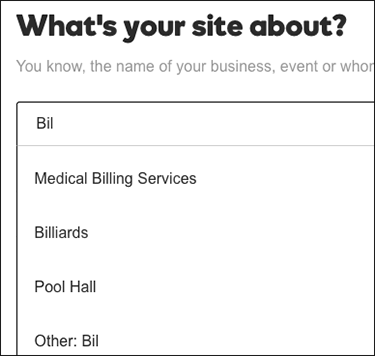 Enter the first few letters of your choice in the What's your site about? field and a list of choices appears. You can pick one immediately or finish your entry. Note: If you bought the Online Store plan, you'll see What type of business is it? instead. Every plan offers all the designs. 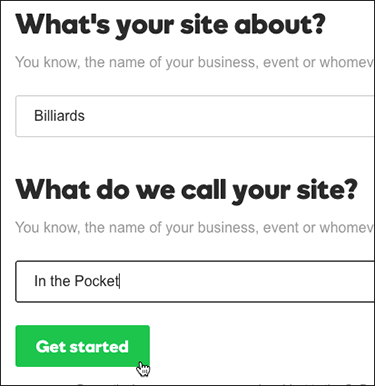 Enter your site or business name in the next field and click Get started. 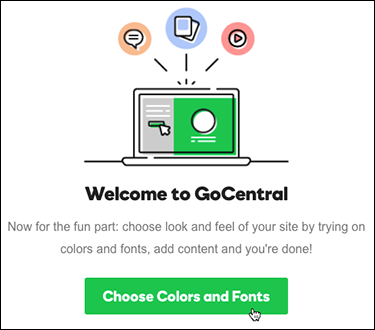 It will take a few moments to generate your site's design, and when the welcome screen appears, click Choose Color and Fonts. 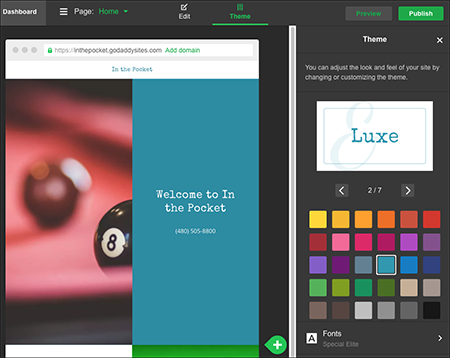 When the Theme panel appears, you're ready to change your site's main color and font. Note: To change anything else on your site, click the Edit button. Your theme settings and all other changes are saved automatically, so when you're finished click Preview to see the results, and, if you like, you can use another of your domains or buy a new one.